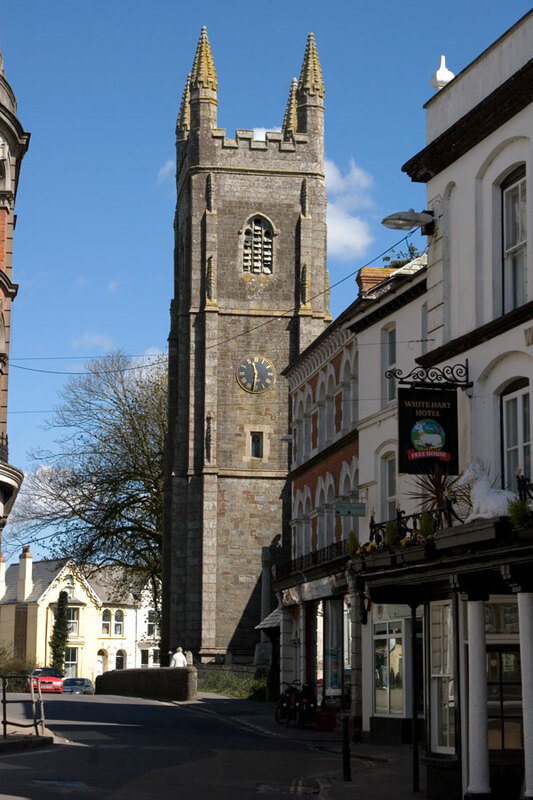 Holsworthy is a market town in the north west of Devon, England. It is situated near the county border with Cornwall, and is 9 miles from the coastal resort of Bude. It is on the intersection of the A388 and A3072 roads, and lies on the River Deer, a tributary of the Tamar. The population increased by 15% from 1981 to 1999 and was estimated at 2,116: the census figure for 2001 is 2,256. 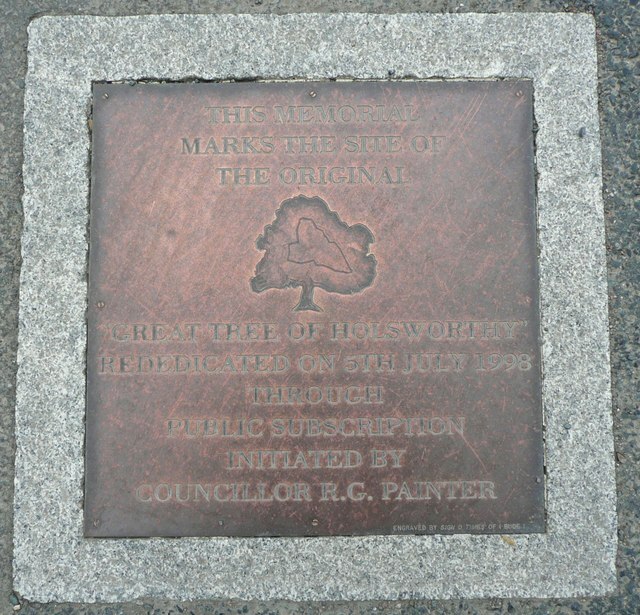 Holsworthy is a historic market town with hundreds of years of history and is mentioned in the Domesday Book, as being part of the estate of Harold Godwinson. The town has occupied a hill top site since Saxon times, and in 1154 became a safe trading centre (known as a port town). The date of the original charter for the market and charter fair is between 1154 and 1185. The Church of St Peter and St Paul is the parish church, and there has been a church on the site since around 1130. Carvings from the original church were incorporated into the porch of the present church, and the church is famous for being one of the few in the country with the Devil in stained glass. It also gained fame for S.S. Wesley’s music, Holsworthy Church Bells–composed for the chiming drum. The tower was built around 1450. 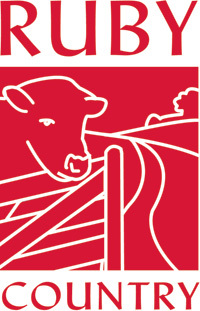 Holsworthy’s New Cattle Market is situated on the outskirts of town and is held every Wednesday. Costing £7 million, it is possibly the largest market in the South West. 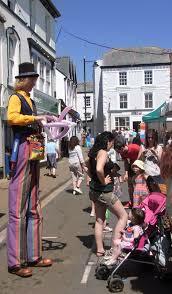 Holsworthy also has a thriving outdoor pannier market and Farmers market held every Wednesday in the town square. 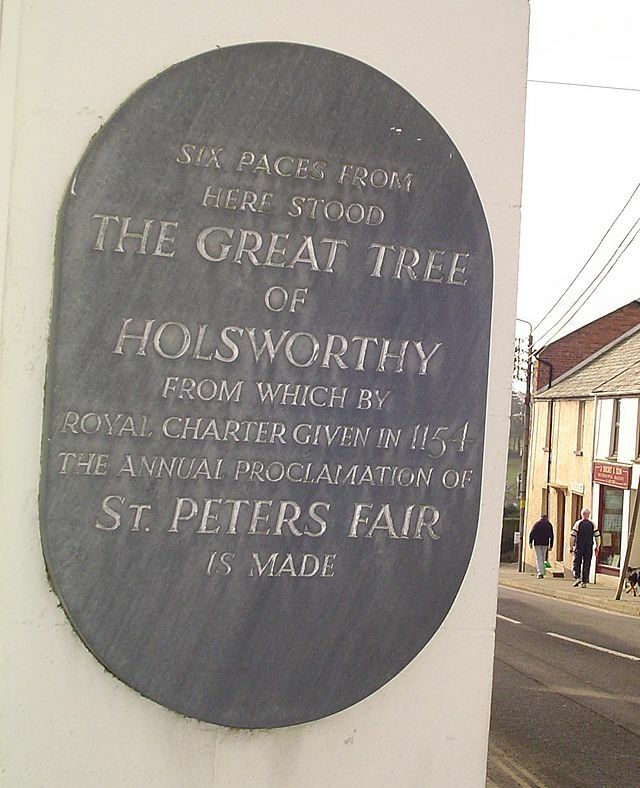 Craft fairs held 4 times a year in the Holsworthy Memorial Hall. 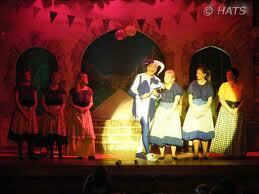 HATS is an amateur theatrical Society in Holsworthy North Devon. We serve the local community by putting on productions and by providing a 250 seat HATS Theatre in Bodmin Street Holsworthy for use by various organisations in the local community. We are a charity, with a membership of about 100 and many local sponsors. The society is run by a Committee (aka Trustees) under a constitution approved by the Charity Commission. Money!! !We largely rely on the income from our shows and from hiring the theatre to cover the costs of running the theatre for the year. However, like most organisations, there is always a need for more money! Thus we have a very active fundraising committee, organising many activities throughout the year. Holsworthy Vintage Rally Held every June at the Show Field, Killatree Cross, Holsworthy. A selection of vintage cars, steam engines and tractors chug their way to Holsworthy for this event. St Peter’s Fair is held every July, lasts for one week, and there is live entertainment/music. The fair was originally held in what is now the churchyard of St Peter and St Paul’s Church. Over time, it became the custom to hold the fair on the feast day of the saint that the church was dedicated to, so the fair was named after St. Peter. It had to move in 1285 due to the Statute of Winchester, and because the Gregorian calendar was altered in 1752 by the omission of 11 days, the fair has been held 11 days after the feast day of St. Peter (29 June). During Fair Week, the annual presentation of the Pretty Maid takes place. This ceremony, which dates back to 1841, was created when a legacy left by the Reverend Thomas Meyrick was established that stipulated that the annual income of the legacy was to be paid to a young maid from Holsworthy. 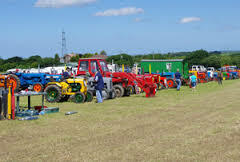 Holsworthy and Stratton Agricultural Show. 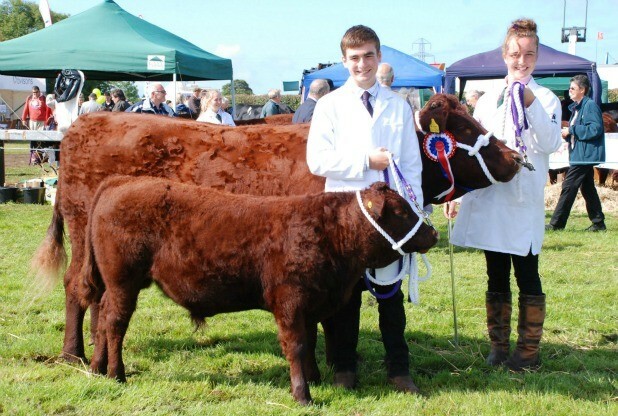 Reflecting the changing fortunes of farming and the local community, a one day agricultural show, which began in 1886, is held annually at the end of July. 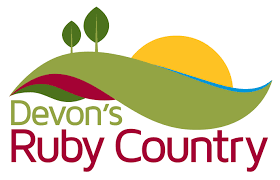 It used to be held in May and was Devon’s first agricultural show of the season. 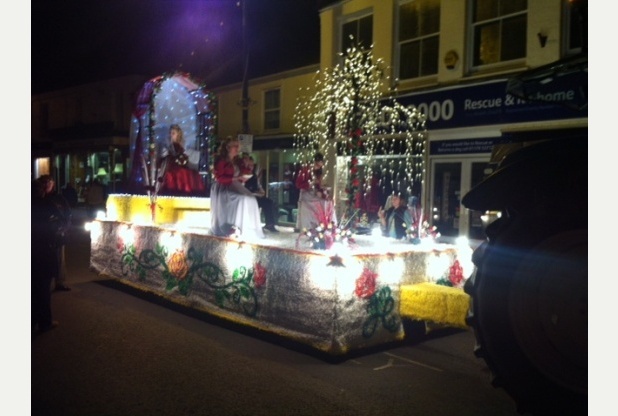 Holsworthy Carnival is held every November. This is Devon’s last carnival of the season. During World War II, POW Camp No. 42 (Exhibition Field Camp) was situated at what is now Stanhope Close. The Church of St Peter now displays a crucifix, carved by a German POW, and also two hand painted stained glass windows made by Italian POWs, used in a hut which served as their Roman Catholic church. 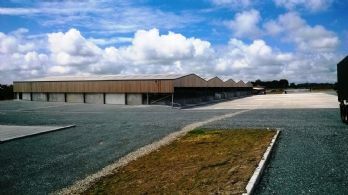 Holsworthy is home to the only centralised anaerobic digestion facility in the UK. Turning dairy farm slurry into biogas, the plant has an installed capacity of 2.1 MW. There are proposals to provide low cost heat to the householders of the town from the plant. Holsworthy has a Non-League football club Holsworthy A.F.C. who play at Upcott Field. 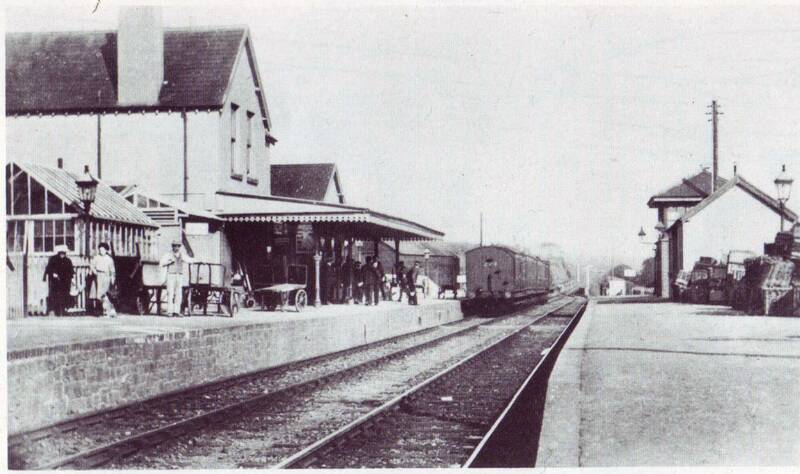 The railway arrived in 1879, and was operated by the Devon & Cornwall Railway Company. 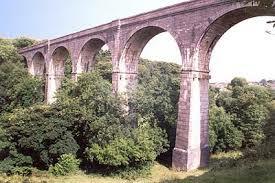 Holsworthy railway station was closed in 1966, but the viaducts, built either side of Holsworthy, still exist. 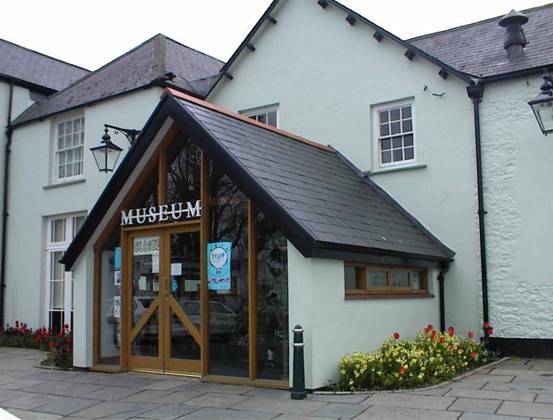 Holsworthy Museum is housed in part of a building which is in itself a museum piece; a small manor house dating from the 17th century which was used as a parsonage in 1724. There are five separate rooms, individually themed, which cover the history of Holsworthy, local tradesmen’s tools, medical and apothecary items, World War II and a kitchen with its original cobbled floor, copper and fireplace. The museum was completely refurbished in 1999 and an entrance porch built giving direct access to the museum from the town’s main car park. Nearby settlements include the parishes of Milton Damerel, Clawton, Bradford, Pyworthy, and Bridgerule.